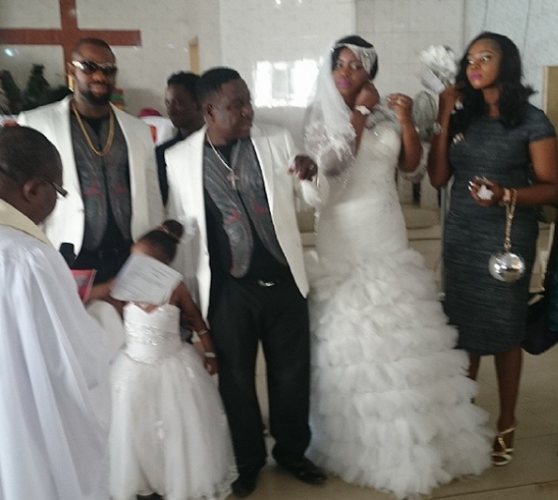 Comic actor, John Okafor this morning May 25th married his longtime love, Stella Marris, the mother of two of his children. The couple have been together since 2008 but never married. They had three kids, one died a few years ago. 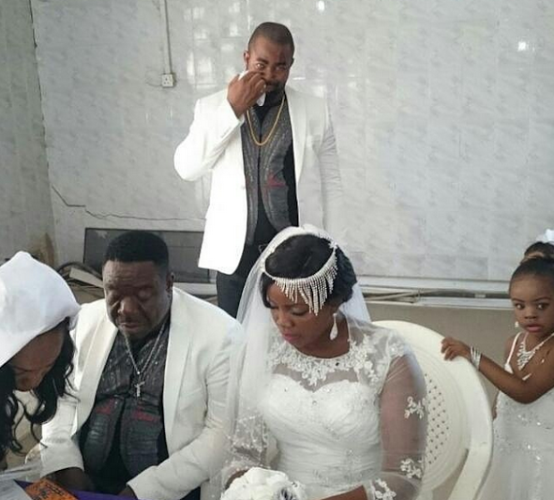 The actor quietly married his lady in front of a few family and friends today. 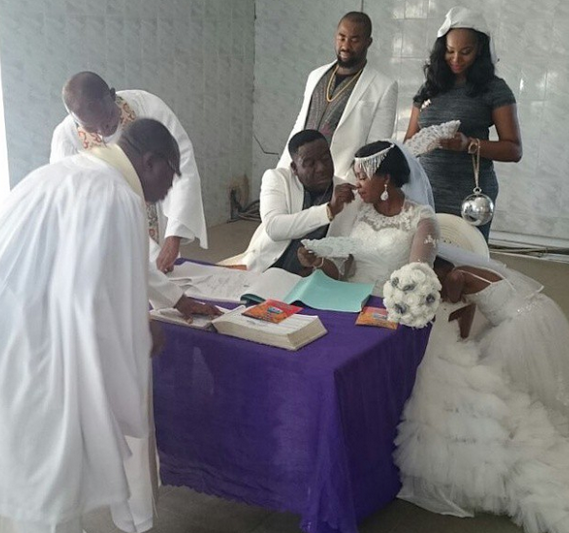 There wedding reception will hold after Mr Ibu's mother's burial. Congrats to the couple.